W Hotels Worldwide, part of Marriott International, has announced plans to open the W Algarve in Portugal. The hotel will offer 134 rooms and suites, including two Extreme WOW Suites, the W brand’s reinterpretation of the presidential Suite. W Algarve will also cater for meetings and conferences, offering two 500 sqm meeting rooms with outdoor facilities. 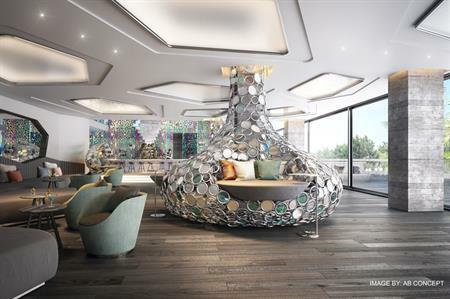 W Algarve, which opens in 2018, will also offer a range of cocktail and culinary experiences from the W Living Room, the W brand’s energetic spin on the hotel lobby, to restaurants and destination bars. These new venues are designed to improve the Algarve’s dining scene with the brand’s twist on contemporary cuisine. Guests can also enjoy one the W Algarve’s three beaches, visit the WET deck pool and spa or unwind with outdoor yoga and tennis.